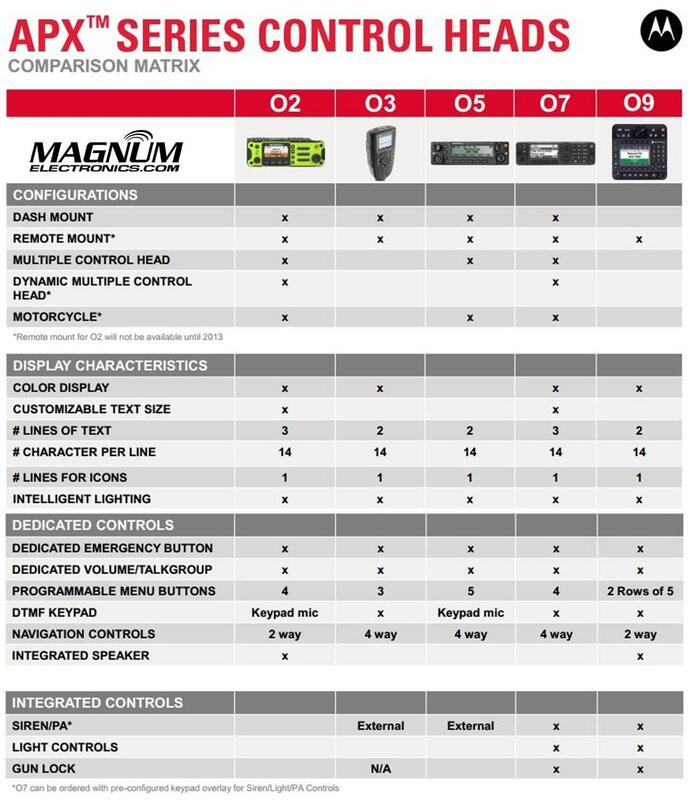 Motorola APX Mobile Control Head Choices Explained | Magnum Electronics, Inc.
Until last year, only the O3, O5, and O9 heads were available for Motorola APX mission critical P25 mobile radios. 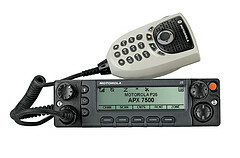 The APX 4500 was introduced with the new O2 head for dash or remote mount configurations. There are now five control head choices available for the APX 6500 and APX 7500 radios including the O2, O3, O5, O7, and O9. The O2 and O7 heads should be considered before you order your next APX 6500 or 7500. The O2 head is rated IP55 for extreme environments and is designed for motorcycle, marine, and fire truck pump panel installations. We used this configuration for the South Bowers airboat. This rugged, XE style head has a color display, large knobs, and an integrated speaker. The O7 control head has a flush-mount design with integrated keypad, siren, lights, public address (PA) and gun-lock controls. It features a color display with enlarged multi-function rotary knob for easier control of talk-group and volume settings. The O5 head is still the most popular option for most applications but the new choices make it a tougher decision. The O3 hand-held control head is perfect for covert and other special installations. The O9 head is packed with features but requires a bigger footprint. 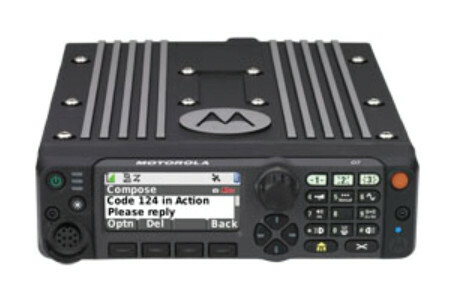 This entry was posted in APX Radios, Motorola, New Products, Public Safety, Tech Tips and tagged 2-way radio, APX, communications, firefighters, mission-critical, P25 by magnumelectronics. Bookmark the permalink.